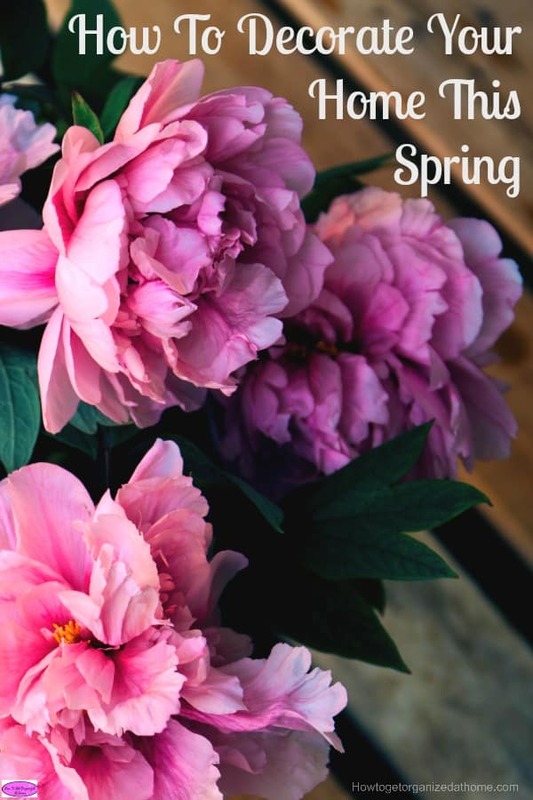 With the changing seasons, it is nice to add a touch of spring to your home, to give it new life after the harshness of the winter. How you choose to decorate your home this spring will depend on a number of different factors, including your budget! You don’t need to change a lot unless you want to, of course, a few subtle changes here and there will make all the difference in your home. Always have a plan of what you want to do, and have a budget if you are thinking of spending any money! For me, changing around some of the items I have in my home is where I like to start! It depends on what projects we are currently working on as to what items are out and if I need storage for items that are temporarily homeless due to an update or project! Moving furniture is a task that will take greater planning and help from other people, the smaller items are easy to swap around and this can really change the feel of a room. 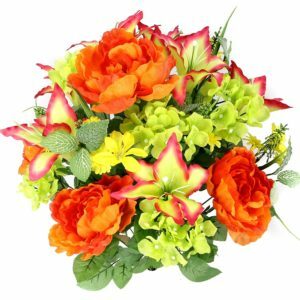 Spring flower arrangements add instant colour, if you have allergies these artificial flowers are just perfect! Pastel vases will brighten up any room! 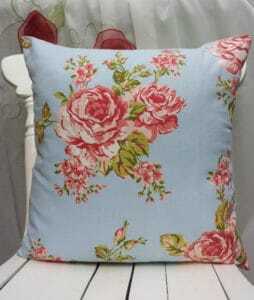 A new cushion or two can change the look and feel of a room, I love these flower ones! They are absolutely gorgeous! The art you have on your walls can change the feel of any room, I love these yellow tulips, so bright and fun! 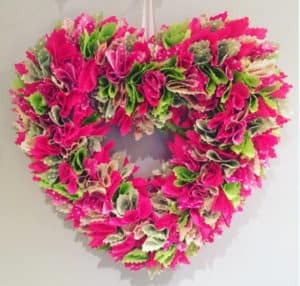 I love the look of this spring wreath! It will lighten up your mood each time you see it! If you are looking for the inspiration to transform your home, I think I have found the best options available! If you are looking for art but can’t afford anything new these free spring printables are amazing! I love the eye-catching beauty in this glass terrarium, the antique look with the fake plant on the inside is inspiring, beautiful and classic, all at the same time! Are you ready for the new colour this spring! I love it as an accent colour, just not in too many places! I love the spring, with the weather warming up and finally finding an end to the freezing months when you just want to hibernate! I love opening the windows and letting the fresh air in! The idea of a spring clean is to get your home in order after the long winter months! With this idea in mind, changing where you put items, a new item or two and freshening up your home will make all the difference! You don’t have to spend a lot, you don’t need to spend weeks cleaning, and it just needs to feel good for you! Take the time and make those changes today! Take on a new approach to how you feel about where you live, by having a positive feeling towards your home it will make you feel good about yourself too! A cleaning project, a decorating challenge will help you banish those winter blues and look forward to the warm summer months ahead! Getting into a routine helps, as things change in your life and that does include the different times of the year you do need to adjust what and how you are tackling jobs around the home and keeping your life on track! A change in the home, the way it looks, how it feels helps with the adjustment to routines and chores. You might need to change or tweak a routine occasionally, but that is OK too! 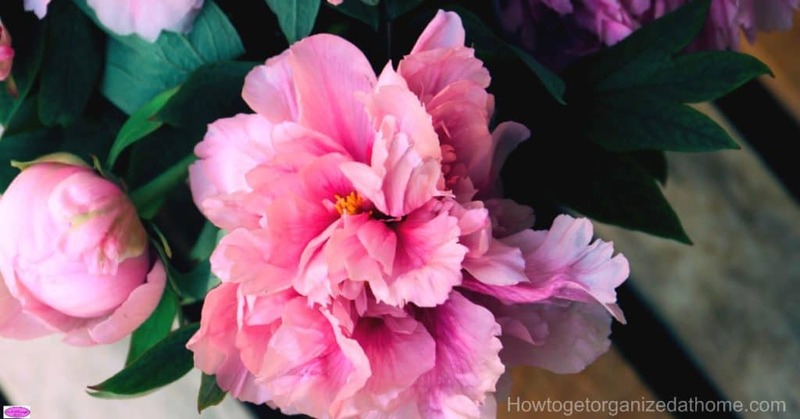 Therefore, if you are looking for spring decoration tips, it might be easier than you imagine. But whatever route you take, make sure if any spending’s involved you have budgeted for this in advance! It could be as simple as changing a few items, buying a few key pieces or just opening the windows and letting in the fresh spring air! Looking for more ideas for your home? How To Banish The Clutter And Organize Your Home is a great place to start!